Dory: The best things happen by chance. 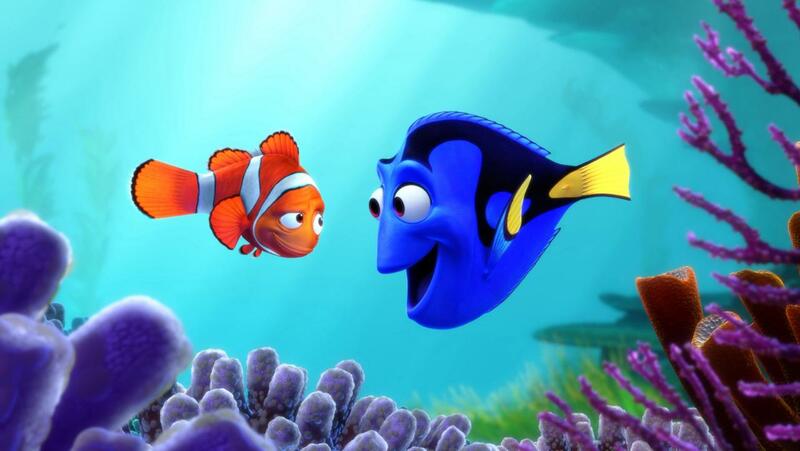 Synopsis: A year after Finding Nemo, Dory remembers information which could reunite her with her estranged parents. What follows is a journey through the ocean and a marine aquarium to find her parents while Nemo and Marlin try and find Dory. Finding Nemo (2003) is still perhaps one of the best Pixar films coming in the height of Pixar’s critical acclaim and popularity. 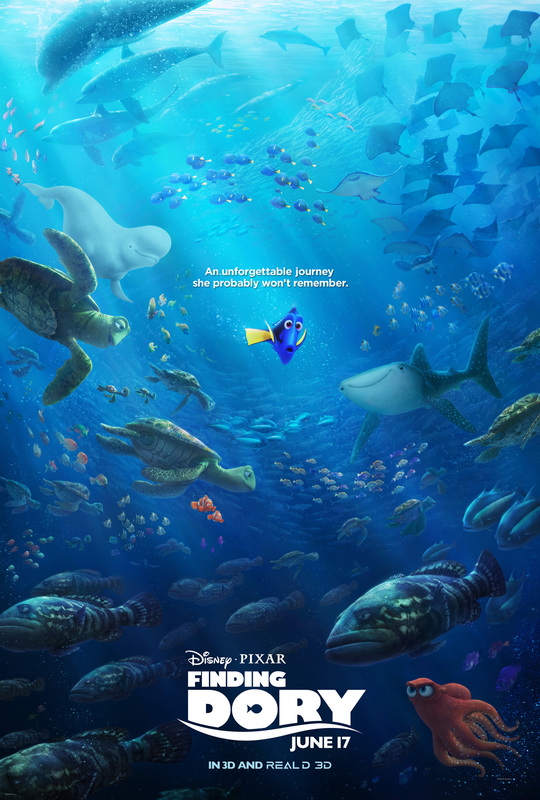 The animators had created a beautiful and unique vision of the ocean and also included captivating characters such as Nemo, Marlin and Dory. Thirteen years later and Pixar has somewhat fallen from their throne. After 2003’s Finding Nemo, Pixar continued its stellar run with The Incredibles (2004), Wall E (2008), Up (2009) and Toy Story 3 (2010). Personally I think they lost their way this decade with Cars 2 (2011), Brave (2012), and Monsters University (2013). 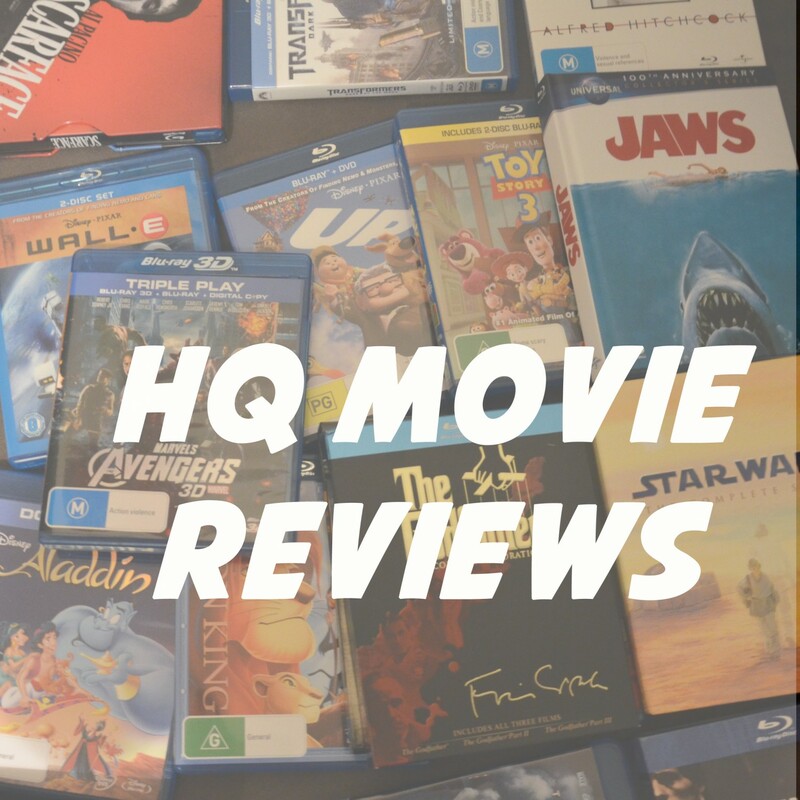 However they acheived redemption last year with the brilliant Inside Out (2015). 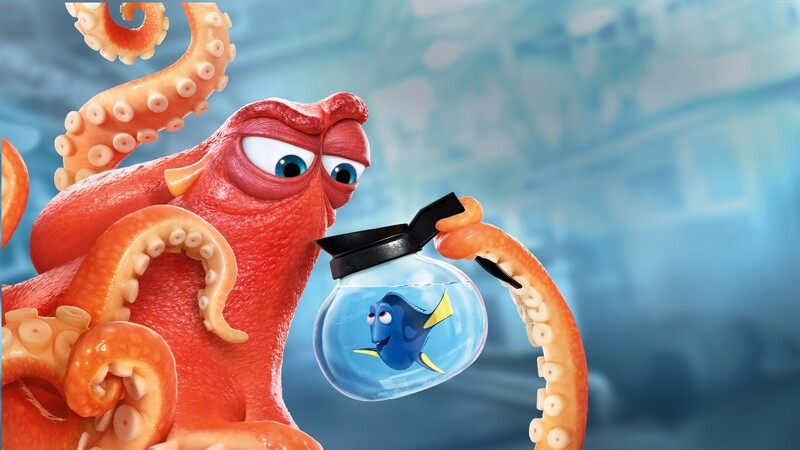 Finding Dory continues their upward tick in a charming and fun sequel to the classic Finding Nemo. They couldn’t top that original film however they simply continue the story and move the action to Dory’s point of view with Nemo and Marlin becoming the side characters. Dory is continuing to hang around Nemo and Marlin when one day she begins to remember things about her parents and how she lost them as a baby. She begins a journey to find them with the help of Marlin and Nemo. Along the way they again meet fun new characters such as the cantankerous Octopus (voiced by the renowned Ed O’Neil), Destiny (Kaitlin Olson) a wide eyed whale shark and Bailey the beluga whale (Ty Burrell). All of these characters provide fun and commentary as Dory continues through different set pieces to find her parents. Differing from the original film most of the story takes place in an aquarium rather than the open ocean which opens ideas about marine life in captivity and our favourite characters dealing with tourists and aquarium exhibits. However most of the film deals with being different and being accepted which is a strong theme for a children’s film in 2016. This film is so much fun with a lot of heart as well as you would expect from a Pixar film. It is not one of their best but it is very enjoyable and better than the sequels they have released this decade. Yep, pretty much my thoughts exactly. Fun. Solid. Entertaining. Not a masterpiece. Nice review!